Never underestimate the power of a constituent’s contact! Letters and phone calls expressing a given viewpoint can change a policymaker’s mind and are particularly helpful when that official is wavering on an issue. Personalized communication from constituents is the most effective at all levels. However, due to contamination threats, mail service on Capitol Building continues to be unpredictable. As such, it is best to communicate by fax or e-mail when reaching out to your federal policymakers. Keep it short. Limit your letter to one or two pages. E-mail is designed for quick messages, not lengthy discussion so it’s best to use bulleted points. You can use the Letter/ Email Template as your guide. Be positive. Policymakers, like most of us, respond best to praise, not criticism. Tell them you supported them in the past (if you did) and how you need their help. It is extremely important to acknowledge their previous support on this or other issues. Ask for a reply. When they do reply – and they usually will – write again. Compliment positive actions taken or encourage reconsideration of negative actions or those not taken. When a public official differs from your position, his or her response may include such language as “careful study,” “due consideration,” or “keeping your comments in mind.” These are often negative indicators and do not show commitment. Write back for clarification. Doing so lets the policymaker know that you are serious about the issue and are following his or her actions carefully. Establish yourself as a resource. You are an expert in your field and can offer to provide additional information regarding the field, the issue, and the impact of proposed legislation. 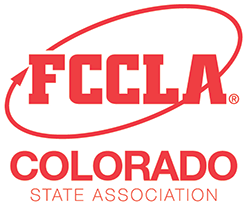 To find the contact information of your Legislator, please visit the Colorado Legislative Directory. Once connected to the office, ask to speak to the staff member who handles education or workforce development issues (depending on what program you are calling about). Local officials may not have a staff member to field calls and may answer directly, but high-ranking public officials rarely take calls directly until you get to know them. Use the Legislative Call Script as your guide. Thank you to the Association for Career and Technical Education for the advocacy tips.